The Ministry of Entertainment has enlisted Transport Media to coordinate a local outdoor marketing initiative in Blackpool. A four month taxi superside campaign will launch on May 5th, using iconic black cabs to promote Richard Shelton’s Sinatra concert throughout the town. 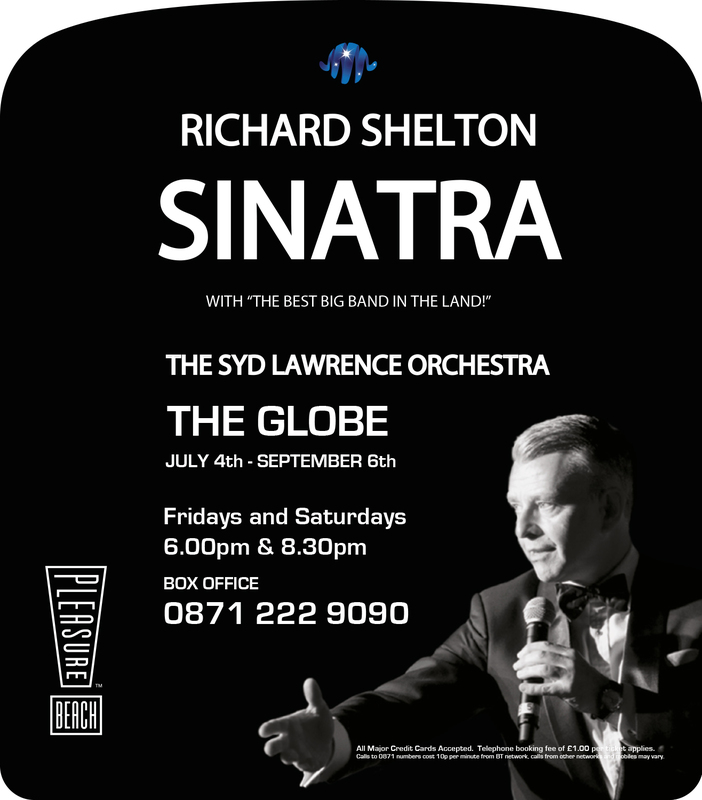 Performing at The Globe in Blackpool’s Pleasure Beach, Richard Shelton will be joined by “the best big band in the land” – the Syd Lawrence Orchestra. Additional coverage will be provided by interior advertising in the form of tip seats and receipt pads – with branded tickets given to passengers as a take-home reminder of the concerts. The stylish black and white designs feature all the concert information, including a box office phone number to encourage response. Launching the campaign in the run up to the peak tourism season allows time for the taxis to create engagement and impact throughout Blackpool and the surrounding areas; acting as a mobile billboard to generate awareness and interest. The Ministry of Entertainment Limited is a theatrical entertainment company which specialises in producing and general managing musical theatre, stage and concert productions around the globe.